As a red-blooded American male, I’m required to start this post off with “I don’t know much about makeup…” Truth is, I don’t: not only do I have very little experience with it, but my wife hardly ever wears any. I do know it’s expensive, and, like any product, represents use of resources. Minerals must be mined or otherwise extracted, and then processed into the product (which certainly requires energy and water). So, tossing broken eyeshadow into the trash represents a waste of all sorts of resources. 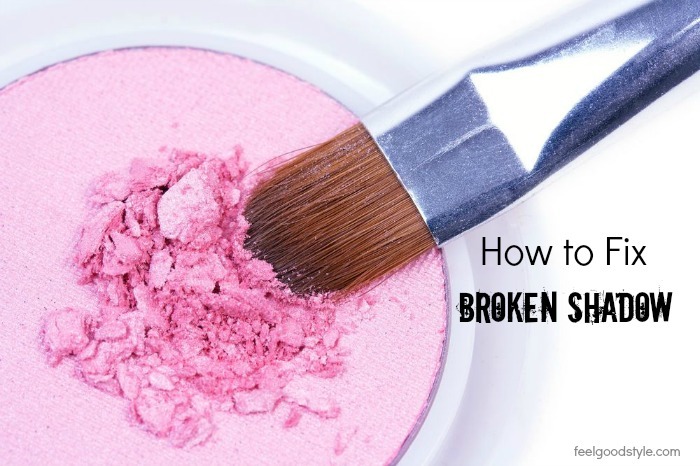 Liz Thompson at sister site Feelgood Style has a better answer: fix that broken eyeshadow, and keep on using it. Check out her instructions below, and then let us know if you’v got other methods for getting the most use out of your cosmetics… even when others might toss them. Favorite shadow gone bust? It happens. Don’t pitch it just yet. Learn how to fix broken eyeshadow and quit trashing your remnants. You won’t believe how easy it is. So you dropped your fave shadow on the floor. Again. No worries, it can be saved. This trick works for broken blusher, bronzer, or any powder makeup compact. All you need are your broken makeup and some rubbing alcohol. If you’d rather turn your broken shadow into a cream shadow, blend in a bit of coconut oil. Cream shadows give a rich look and are great for those with dry skin. Learning to apply a cream shadow can be tricky at first. For best application, use a small amount of cream shadow on fingertip, and dab and blend onto eyelid. Of course, mineral shadows are the way to go. Synthetic colorants in mainstream makeup and hair color can cause skin irritation and allergic reaction, and have been linked to cancer. Natural mineral pigments are a much safer choice. If you are new to mineral makeup, check out our picks at Amazon.com.